Saddleworth School has a wide catchment area with pupils attending from around Saddleworth and Lees and there are many different ways to travel to school to make sure that you arrive safely and on time. The table below is designed to help you with some of the different transport methods available and the following page provides details about the school buses. Many of our pupils live within a mile of Saddleworth and use this to their advantage by taking the healthy option and walking to school. Being aware of the dangers associated with busy road networks and practicing good road safety is the key to enjoying this practical transport method. A growing number of children cycle to school, taking advantage of the secure and well covered bicycle sheds at the front of school. Parents and carers are asked to be considerate of our local residents and other road users when dropping their children. Please note the changes to the signage on the bus turn around as this can no longer be used. Parents are not permitted to enter the school site to drop their children off unless with prior arrangements made as a result of special circumstances. There are a number of buses that service Saddleworth School. (Please see the additional information provided on our website showing times and destinations to support the planning of your journey). If you believe that you may be eligible for free travel you must contact: 0161 244 1050 and speak to a member of the team at First Greater Manchester. Eligibility upon a number of factors. 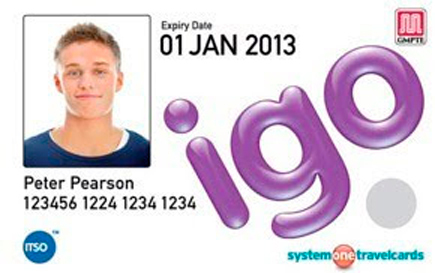 It is important to note that all students aged between 11 and 16 need an igo pass to pay the concessionary fare on buses in Greater Manchester. This is regardless of whether they are travelling to school & are clearly in school uniform. The Rosso 825 (previously 183) service to Delph now runs at 13:10 on a Wednesday afternoon. This means the 825 is available every morning to school and every day after school and is an alternative to the First Bus 350 service. Pupils can buy a TfGM weekly bus pass on the Rosso bus for just £7. Make sure you have the correct pass and or money. Do not panic if a bus does not stop for you. Unfortunately if it is already full it is unable to do so. Another one will be along shortly. Please inform the office on arrival if this as impacted on your punctuality.